In my first Q & A post I want to go through some questions I’ve seen recently to do with being an Amazon Affiliate. It is the type of internet marketing I’ve the most experience and success with. Seems a good place to start! Can you make over $1000 a month as an Amazon Affiliate? This get a big yes from me, as I report in my January revenue report where I made over $2,000. I do need to point out that it is my best month ever. I did earn over $1000 in December and November too. February is going to be over $1,000 too but doesn’t look to be as good as January. The method I used is from Erica Stone’s Extreme Review/Straight Line courses. It has taken me almost 2 years to achieve that milestone. I’m sure people following those courses could get there quicker – if they research and write quicker, write better and pick the right niche and products. My second site I started in January 2015 is earning the bulk of that income! Other examples of people earning more than $1000 per month and they earn significantly more from their screen shots are Erica Stone and the Lesley Stevens (Pajamas Affilaite). There are more but those 2 are the ones are most familiar. One other I believe is earning mre is Jennifer Ledbetter but I’ve only screen shots of days where she earned over $300 in a day from her What Works Now program. Which is better Amazon Associate or other Affiliate Programs? For me it is the Amazon Associate program as this is the one I’ve had the most success with. I have earned income with other programs too – like market health, JVZoo, WarriorPlus and Clickbank, Pajama Affiliates – just not to the extent I have with Amazon. There are people that make very good incomes from other programs but I’ve yet to make more than a tens of dollar a month from them. For me there are a number of advantages with the Amazon program. First up there is the fact that Amazon is a trusted brand – people have heard it and like it for the most part. They sell loads of different things. They have a good system that successfully encourages people to buy extra things when they are on the site – that you can earn a commission if they buy it within the 24 hour window you have with them. There are some disadvantages with the program compared to others – the perceived low commission (usually between 4 – 7% but can be 8% and above) – other programs for digital products and supplements can be 50% and over. The other programs can also have put a longer cookie (tracking code) so that you get credited for sales from 30 days to a lifetime from when the visitor first visits. Their payment terms can be much quicker with you getting paid the day after whereas with Amazon you’ve got to wait for 2 months from the end of the month the sale happened. These disadvantages for me are more than overcome by the fact that you can get a higher conversions as there is less resistance because it is Amazon, they are buying a physical product and also Amazon does a great job of cross-selling where you get credit if they buy within 24 hours. 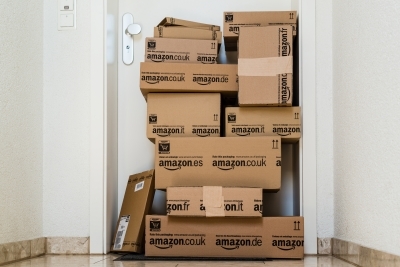 How do you get started as an Amazon Affiliate? There is an application process you need to go through which has got tougher over the years. You can’t join if you live in the states AR,MO,ME or RI for tax reasons. The process is detailed here https://affiliate-program.amazon.com/gp/associates/help/t64/a4?ie=UTF8&rw_useCurrentProtocol=1. You do need to have a blog or website to apply – it can be on a free blogging site such as blogger. It needs to have some good valuable content that isn’t just promotional. You must make sure you comply with their terms which can be found at the link above also. To be successful with Amazon comes from the market or niche you pick, the keywords/products you pick and your content. 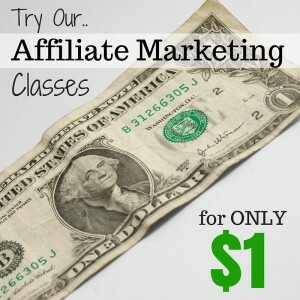 A good course for beginners is the Pajama Affiliates Home Blogging and Affiliate Marketing goes through how to choose a niche, products, keywords, set up a blog and promote your site with social media. As well as going through the steps, a very successful blog is used as the example that you can look at as the basis for you to emulate. Do you need this course or Extreme Review (the one I’ve followed for 2 years) to get started? No. They just will get you there faster by them both showing you actual proven ways to earn a solid income from Amazon provided you put in the work. It’d be great to hear what you think about these 3 questions. Your thoughts and ideas are always welcome.